12/1/18 Need to get a start on your holiday shopping? 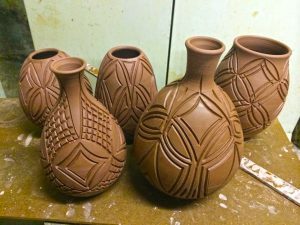 Check out this collection of small batch, locally made work. Sales start soon. click the photo and follow the link! 12/11/18 Come support their two current entrepreneurship academy classes as they showcase their businesses and battle head to head for multiple prizes. Come cheer on Walnut Hills! 12/13/18 The Area Council will be having a community potluck at the December meeting. Make sure you attend. 12/15/18 Join your neighbors in a musical holiday celebration! Click the photo above and follow the link! Check out one of Walnut Hills staple entertainment venues for live jazz and loads of other talents! Click the photo above and follow the link! Every Wednesday. Mercy is looking for volunteers. 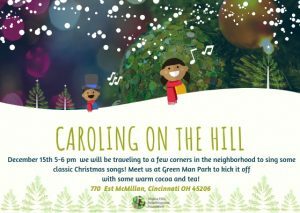 Live in Walnut Hills? Want to make a difference in the community? Click the photo above and join in!